ITHACA (NEW YORK) – Physicians have been mystified by chronic fatigue syndrome, a condition where normal exertion leads to debilitating fatigue that isn’t alleviated by rest. There are no known triggers, and diagnosis requires lengthy tests administered by an expert. Now, for the first time, Cornell University researchers report they have identified biological markers of the disease in gut bacteria and inflammatory microbial agents in the blood. In a study published June 23 in the journal Microbiome, the team describes how they correctly diagnosed myalgic encephalomyeletis/chronic fatigue syndrome (ME/CFS) in 83 percent of patients through stool samples and blood work, offering a noninvasive diagnosis and a step toward understanding the cause of the disease. “In the future, we could see this technique as a complement to other noninvasive diagnoses, but if we have a better idea of what is going on with these gut microbes and patients, maybe clinicians could consider changing diets, using prebiotics such as dietary fibers or probiotics to help treat the disease,” said Ludovic Giloteaux, a postdoctoral researcher and first author of the study. In the study, Ithaca campus researchers collaborated with Dr. Susan Levine, an ME/CFS specialist in New York City, who recruited 48 people diagnosed with ME/CFS and 39 healthy controls to provide stool and blood samples. The researchers sequenced regions of microbial DNA from the stool samples to identify different types of bacteria. Overall, the diversity of types of bacteria was greatly reduced and there were fewer bacterial species known to be anti-inflammatory in ME/CFS patients compared with healthy people, an observation also seen in people with Crohn’s disease and ulcerative colitis. At the same time, the researchers discovered specific markers of inflammation in the blood, likely due to a leaky gut from intestinal problems that allow bacteria to enter the blood, Giloteaux said. Bacteria in the blood will trigger an immune response, which could worsen symptoms. The researchers have no evidence to distinguish whether the altered gut microbiome is a cause or a whether it is a consequence of disease, Giloteaux added. In the future, the research team will look for evidence of viruses and fungi in the gut, to see whether one of these or an association of these along with bacteria may be causing or contributing to the illness. 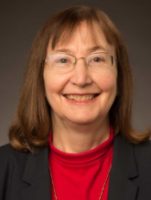 Creapharma had the chance to interview Maureen R. Hanson, Professor of Molecular Biology and Genetics, Cornell University (Ithaca, NY) in July 2016. Creapharma – What is the main takeaways of your study, compared to other works? Prof. Maureen R. Hanson – Using the latest methods for DNA sequencing, we found that the gut bacterial composition of our participants with CFS differed, on average, from those of the healthy individuals who participated in our study. There were fewer types of bacteria in the gut of the patients (less diversity in the gut bacterial population) than the healthy individuals. Furthermore, the abundances of different types of microbes differed between the patients and healthy participants, so that a “profile” of bacterial composition that could be made that, along with some blood biomarkers, could identify over 90% of the patients. The current results, using cohorts of 49 patients and 39 controls, could identify correctly 83% of the participants as either being ill with CFS or healthy. On our site in French (www.creapharma.ch) that you can read there, we published an article about works from Prof. Jose Montoya from the University of Stanford in California. He noticed in a study that people suffering from chronic fatigue syndrome (CFS) had abnormal rates of bacteria and virus in the blood, is there a link with your study, especially bacteria from the gut? An ME/CFS expert physician, Dr. Montoya has performed several intriguing studies in which he observed improvement in a subset of CFS patients that he treated with an antiviral drug known to be effective against herpes viruses. He was not studying bacteria in the blood, nor did he test whether the amount of virus in the blood. Instead, he observed that some people with CFS had more antibodies to herpes viruses than other patients with CFS. A puzzling observation he made was that the levels of anti-herpes viruses antibodies that a participant had at the beginning of treatment was unable to predict whether or not someone would improve on the drug. The reason that an antiviral drug was able to help a few people with CFS, but not others, is not understood and merits further study. The Prof. Jose Montoya treated some patients with antibiotics, anti-inflammatories, immunomodulators and antiviral against CFS. In the press release you suggested more these treatments: prebiotics such as dietary fibers or probiotics. Your treatments seems “lighter”, do you have any comment ? Other said, why not using rather antibiotics? Or perhaps your suggestion are more in terme of prevention of CFS? I am not aware of published studies in which Dr. Montoya treated patients with drugs other than valganciclovir, the anti-herpes viral drug. You will need to contact him to ask about any other drug studies he may have performed. The first author of our study, Dr. Ludovic Giloteaux, was not suggesting in the Cornell press release that CFS patients should take prebiotics or probiotics or change their diet. He merely was pointing out that future studies could reveal whether or not such strategies would reduce the abnormalities seen in gut bacterial composition in CFS patients. Whether antibiotics would help CFS patients or make them worse is not known, and therefore cannot be recommended as a treatment without further research. In your press release you mention that we do not know yet if the altered gut microbiome is a cause or whether it is a consequence of chronic fatigue syndrome, but if we imagine that it is a cause, why do you think (if we know that) the altered gut microbiome would cause chronic fatigue syndrome and especially fatigue? My colleague Dr. Giloteaux also mentioned that an altered gut microbiome could be a cause or a consequence of the disease known as chronic fatigue syndrome. CFS is also known as myalgic encephalomyelitis, a name preferred by most patients, because it highlights the symptoms of pain and abnormal brain function experienced by victims of the disease. An increasing number of studies indicate that gut microbes can influence the brain. Thus, possibly some of the unpleasant symptoms of the disease could result, in part, from an abnormal gut microbiome. Our study demonstrated that CFS patients, on average, have more bacterial lipopolysaccharide, in their blood than healthy people. This molecule, a part of the outer surface of some gut bacteria like E. coli, can stimulate the immune system to react, potentially causing some of the illness symptoms experienced by patients. Nevertheless, we can’t conclude that gut dysbiosis is responsible for the entire disease. It is quite possible that something else is fundamentally wrong, which then causes the gut to develop an abnormal microbiome, which then further exacerbates the underlying problem. It could be that some other major disruption in the body, if prevented, could result in normalization of the gut microbiome and then an improvement in the gastrointestinal symptoms experienced by many disease victims. Far more research into this extremely understudied disease is needed to figure out the cause, so that there can be effective treatment for the millions whose lives have been severely affected.